Over 200 years of history we can touch. . . This prominent adobe residence on Lizzie Street was erected as early as 1782 according to several reports, and certainly was standing in the 1840s. La Loma is one of only two two-story adobes in San Luis Obispo County, and only perhaps 30 still standing in the state. The Adobe grounds were known early on as La Loma de la Nopalera (knoll of the cactus grower) and originally may have been constructed and used by Franciscan Padres, the Indians and the Spaniards in connection with the Old Mission Church. Its various residents were important public figures in the development of the city. The structure has deteriorated badly, but recently the City of San Luis Obispo has physically stabilized it to prevent further damage and has nominated it for the National Historic Register. 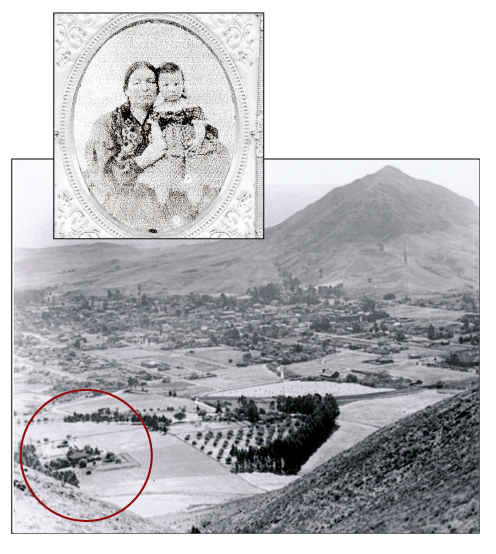 When restored, the Adobe will serve as an interpretive center focused on the history and changes in lifestyles during the 18th- and 19th-century California, as well as current research methods into the Adobe’s important and varied past.